First night of two in San Jose and first night in the USA. Here's what we found out. 2. 'A U2 show comes with heightened expectations and an almost euphoric anticipation for a cultural touchstone. It's an impossibly high bar to meet. For more than two hours last night, the seminal Irish rock band did just that. A blistering start and finish book-ended a tech-tinged show that is bombastic, brilliantly absurd arena rock...' From the USA Today review of the show. 3. There's no support band on this tour, but there are several 'acts' - and in the break between the first and second, the band leave the stage for a few minutes and the great divider takes all your attention. Last night this was the moment for the premiere of a new interpretation of The Wanderer, the band's collaboration with Johnny Cash from 1993's Zooropa. A mesmerising piece of video art, you couldn't take your eyes off the screen as the face of the late, great American musical icon grew older and older before your eyes. 4. There are several stages in this show, the mainstage, the stage within the screen, the runway stage under the screen.. and the 'e' stage - 'e' for experience. The band are everywhere and have probably never been so close to so many of their audience in any show before. And when they four of them are crowded together on the small 'e' stage, and the house lights go up and everybody can see everybody singing along to 'When Love Comes To Town' and 'Angel of Harlem', that's something else. 'When Love Comes To Town' was for BB King again - ' a prince of a man, royal in every way' - while 'Angel' was for the Revd Cecil Williams, the minister of Glide United Memorial Methodist Church in San Francisco, 85 years old and in the house tonight. 5. 'Bono set the tone in the first break, riffing on the tour’s iNNOCENCE + eXPERIENCE theme and asking the crowd: “Can you still experience innocence after all of these years?” That’s not always an easy question with U2. At this point, multiple generations can claim U2 origin stories; the musical bookmarks from their past that brought them out on a Monday night to sing along in near-religious fervor to the group’s biggest hits. At the same time, the band had the audience questioning: Where is our innocence after Ferguson and during the AIDS crisis? What have we learned from the assignation of Dr. Martin Luther King, Jr. and the conflict in Ireland? Can we become global citizens? What is magic and what is a trick? Perhaps, that’s what U2 does best. In the wake of thousands of glowing cell phones and selfie attempts, it’s a band that can still insert a little humanity, charity and mystery into the rock ’n’ roll juggernaut. On Monday, it was nostalgic and refreshing—and it felt a little innocent—all at once.' From the Metro Silicon Valley review of the show. Were you at the show? Add your own review and photos below. An electric, mystical, magical nite! Loved it guys; the mix was great...I was able to escape and simply RocK OUT! Still the best band in the world! I waited nearly four years for the band to come back to the Bay Area. Unequivocally, the still can bring down the house like no one else. My god, I feel young again!! Another U2 show, another perfect, amazing, incredible night of pure non-stop U2 entertainment mixed with the biggest anthems as 'Pride', 'With or Without You', 'Streets', 'I Still Haven't Found What I'm Looking For', 'Sunday Bloody Sunday' - acoustic style, which was brilliantly done on the catwalk, and then some of the biggest staples as 'Beautiful Day', 'City of Blinding Lights', 'Mysterious Ways' (one of my top favorites), to probably the most explosive song of the night, 'Bullet the Blue Sky' and other amazing songs from recent albums. I was amazed to hear 'Out of Control' for the first time live since seeing it performed in the Elevation tour in Oakland in 2001. Also from 'Boy' was awesome to hear 'I Will Follow' (love that song). Of course I was delighted to see them play some amazing hits from 'Rattle and Hum' - 'Angel of Harlem', which I haven't seen them do since 'Elevation' tour in Oakland in '01. Also, 'When Love Comes to Town' was great to see as well. Then of course the theme of the tour, 'Innocence + Experience' - taking us back to their early days when they first got together as well as Bono's childhood, which I thought was very powerful. New songs like 'Iris (Hold Me Close)', 'Cedarwood Road', 'Raised By Wolves' each had a very powerful and genius display of high tech digital effects with the humongous LED screen suspended from the roof hanging down over the arena, appearing to divide the arena in half from one end to the other. For me, the highlight of the evening was the first song of the second set, 'Invisible'. U2 showed us an entirely new age of technology in a way that we have never seen, at least I have never seen, and I work in IT in the Bay Area, and for me that was new - being able to have the entire band walk inside the double sided LED screen with all the graphics, which actually made them look invisible, at least until he sings, 'I'm not invisible, I AM HERE', at which point you can clearly see all 4 of the guys standing right there in the center of the inside of the screen. That, for me was powerful, and a new way to bring new technology into today's modern day of music. It's not just going to a concert to see a band perform, now we have the ability hear and see things that we haven't seen before. 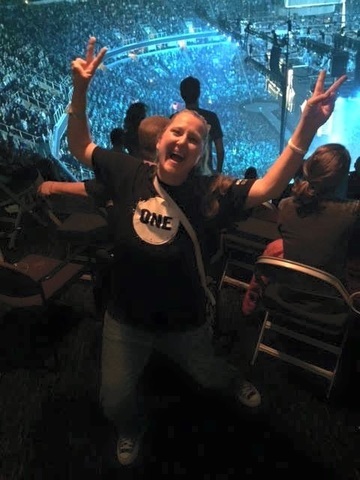 This was my 9th U2 show (the next evening was my 10th), and by far this tour was my favorite of them all. My first U2 concert was in 1992, the ZOOTV tour in NJ, and I've gone to at least one show from each tour since then - but 'Innocence + Experience' for me was by far the best that I've ever seen! 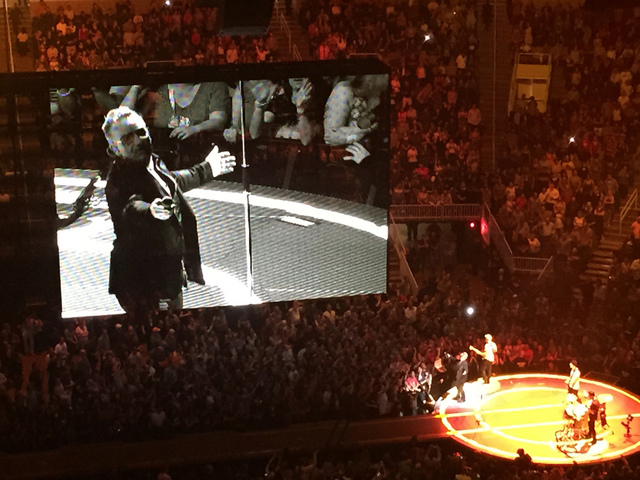 I'm also excited for my next U2 show in NYC at MSG on 7/31 - and I know it will be another incredible evening! I am a big fan since many many years ago, I loved every new song and the show was amazing. I traveled from Mexico City, just to see the band as soon as possible. Icouldn't wait to know if the tour will be on Mexico City, but I hope they will. I missed them a lot since the last tour and it was a really different show, it was like old times. My favourite song like always "Where the streets have no name", crying all the song. 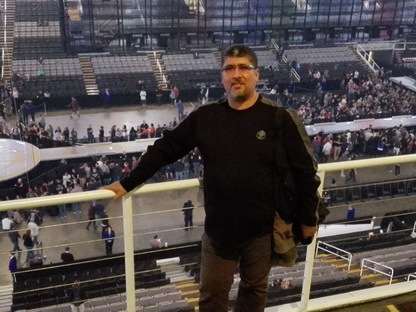 Another mind-blowing, euphoric U2 concert experience (my 12th). 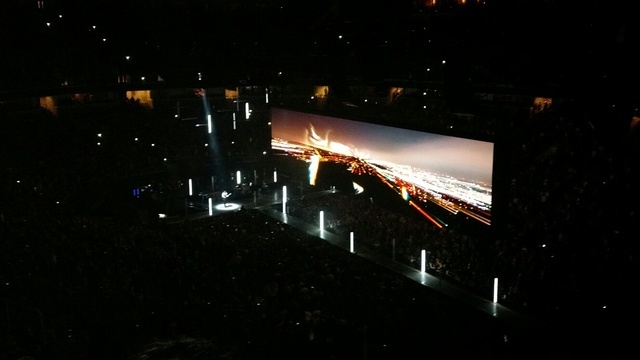 The U2 stage extends with a catwalk to the B stage bisecting the length of the arena, and mesh screens drape down over the catwalk with an elevated ramp between the screens - creative genius in its presentation. Exciting set list. 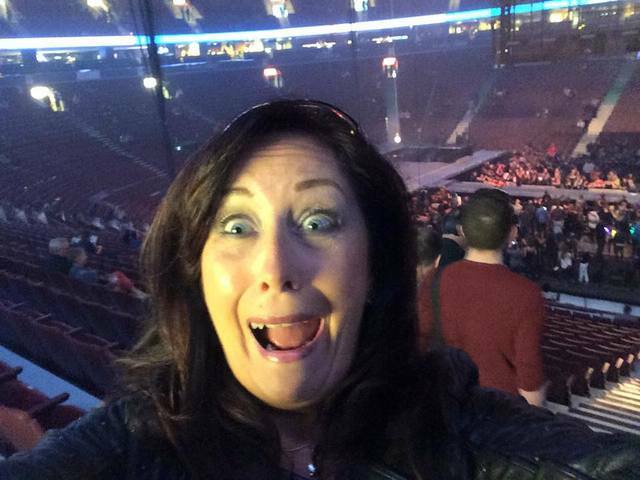 I have to say that the other U2 fans are special people, too. We are truly grateful to Bono and the band. It was absolutely a FANTASTIC event and the new technology puts U2 over the top again. Thank you for embracing the future with awe and respect! As large as it was...it was still as intimate as Edge in the palm of your hand. Fantastic Performance... The man looks happy! The most impressive stage I've ever sceen and yet when it was without high-tech lighting the EXPERIENCED four is why we are all there. 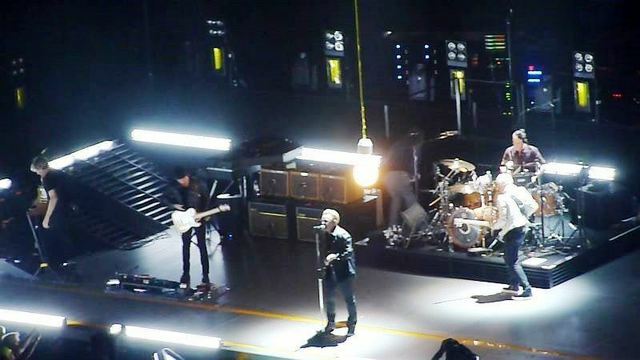 I've always appreciated the many opening bands in past tours, but LOVED that it was an all U2 show. So great to have heard many new songs, but my heart still belongs to Rattle and Hum! Some of my FAVS were played. Thank you for a great show!! A truly epic show. The only disappointment was no New Year's Day. It was really cool the way they integrated the story of growing up in Dublin into the show. Well done. Where do I start, a strong contender for early show virginity. Lots of things could be different with this show, but now I wouldn’t change a thing. I was GA for most of the night in the section south of the Red Zone back against the wall. Feel sorry for those who stayed stuck on the cat walk rail or against the front stage. You missed seeing the show being too close to the screen. The lighting and sound technology used here is groundbreaking and it will be interesting to see how their use of the screen will evolve. The first 3 songs were muddled in the mix and then it cleaned up into amazing sound. From where I was not a bad view anywhere, a great view of everything. Be careful where you select a spot on the floor. I won’t go through the set list as it will evolve in time and it more than satisfied me, it was a great selection of tracks. I went to hear the new songs and this set and the show did not disappoint. What a finale! Where the streets have no name and snippet of California! Out of Control at the beginning and a very intimate ' Still haven't found what i am looking for'. It is a long musical journey and set list is glitter. Have A GREAT SHOW Everyone and#U2 Band! I have been counting down the days and it's finally here. Looking forward to tonight's show with my husband. I don't have a Twitter account nor a mobile but I'll always have my memories of seeing U2 and tonight is the night! Looking forward to seeing my tribe tonight... break a leg, but no more falls ok? Hope to meet you guys along the way. Hi, Larry, Bono, Adam, Edge, I'm so excited about your show Tuesday night in San Jose. This will be my 4th concert of yours but it will be my daughter's first! She's 11. I am SO excited! Did I say that already? I still have my Joshua Tree cassette from 1987! I'll be in section 210 if you want to wave or something. : ) Larry, I am so sorry for your loss. Our hearts and prayers go out to you and your family in this time of grief. How proud your Dad must be of you.